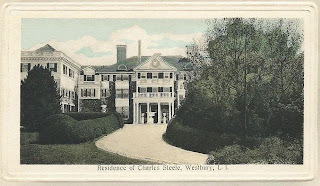 The Charles Steele estate originally built for J.F.D. Lanier by James Brown Lord c. 1891 in Old Westbury. Click HERE, HERE and HERE for more on the estate. Off-topic,and more in line with previous post. These estates for sale in the Hamptons.